Two members of the Competition Council –Ljiljana Pavlic, MSc and Denis Matić, LLM, were reappointed for a second five-year term, whereas Mirta Kapural, PhD was appointed a new member. Ljiljana Pavlic, MSc has been a member of the Competition Council since November 2013. Before that Ms Pavlic was the head of the Department for the prevention of abuse of a dominant position and assessment of agreements between undertakings in the CCA where she had been employed since 2005, first as an advisor, later as the head of the Unit for services market, later the head of the Department for assessment of concentrations between undertakings. Thus, her career in the CCA involved all matters in the area of competition. In 2007 she worked in the Directorate General for Competition of the European Commission on the jobs involving assessment of compatibility of concentrations between undertakings. Ms Pavlic graduated at the Faculty for Economics and Business, University of Zagreb, where in 2009 she also took her academic degree master of science in the area of competition. In 2011 she was trained in the United States, mastering the specialist programme aimed at economists dealing with competition law and policy. She is a doctoral student at the Faculty for Economics and Business in Zagreb. Denis Matić, LLM has been a member of the Competition Council since November 2013. Before that he ran his own law firm. In 1990 Mr Matić continued his practice in the USA, in Caplan & Earnest Attorneys at Law. He also gave lectures at the University of Colorado. In 1993 he finished a post-graduate training in International Law and Trade Law at T.M.C. Asser Institute, Den Haag, and then returned to Zagreb to continue his career as a consultant – researcher in the area of international and EU law at the Faculty of Law in Zagreb. 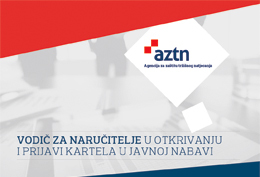 As an attorney at law Mr Matić represented a number of clients from Croatia and abroad in different legal matters covering commercial law, labour law, and international labour law. Mirta Kapural, PhD is a new member of the Competition Council. She has been employed at the Croatian Competition Agency since 2004. She has worked in the Department for international and European cooperation on the jobs involving cooperation with the European Commission and the national competition authorities, implementation of the EU projects, cooperation within the International Competition Network (ICN) and participation in the new EU legal proposals in the area of competition law. She has been the Croatian representative in the negotiations about the Directive to make national competition authorities more effective enforcers (ECN+), she lead the working group for the drafting of the Act on actions for damages for infringements of competition law and she has participated in the proposed revisions of the Competition Act. She got a degree Master of Arts in Contemporary European Studies, University of Sussex, and in 2012. she achieved her doctoral degree at the Faculty of Law in Zagreb in the area of commercial law and competition law with the thesis “Application of leniency or reduction of fines in competition law”. She is an author of a series of research and scientific papers in the area of competition law that have been published in domestic and foreign professional journals and books. She is a lecturer and author of the curriculum on competition law at the State School for Public Administration. She regularly visits international workshops and conferences about competition law. The Croatian Competition Agency wants to thank the former member of the Competition Council, Tatjana Peroković, MSc for her hard work and savvy and wishes her a successful future career. © COPYRIGHT 2015, Croatian Competition Agency, all rights reserved.